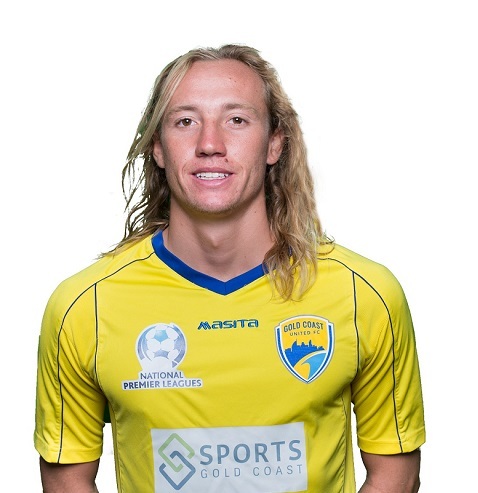 Kristian Rees has given another talented home-grown product a chance to step up to the plate adding Ben Lahiff to the 2019 Gold Coast United Men’s squad. Lahiff (20) from Casuarina returns to football after spending 2018 overseas where a shattered shoulder cut-short his time on the pitch. Attacking minded, Lahiff came through the Northern Rivers development system representing the region as a junior before venturing further north and linking first with Strikers and later Souths United. With younger brother Tim settled at the club, when the opportunity to trial came up Ben grabbed his chance. “Ben started pre-season training with the under 20’s,” Coach Kristian Rees confirmed. The affable Lahiff is settling in well.